Much art of the last several centuries has been preoccupied with the creation of space, from the illusionistic space of Renaissance art to the presence of depth that can exist even within pure abstraction. Divided into three sections, this exhibition presents a range of historical and contemporary artworks by more than 30 artists that together communicate some of the countless ways artists have contemplated space – from its optical perceptions, to its emotional impact and finally, to its geographical or topographical limits. The exhibition begins by evoking the early twentieth century, which saw the replacement of deep illusionistic space in painting with something more fractured and far more suggestive. In Canada, artists such as Emily Carr, B.C. Binning, Maxwell Bates and other West Coast modernists adapted European and British influences to the specificities of British Columbia. Many of their methods of fracturing the picture plane have been re-interpreted by contemporary artists from today’s perspective. The exhibition takes its title from a book by the same name authored in 1958 by Gaston Bachelard. In The Poetics of Space he writes particularly about the home, where as children we have our first momentous encounters of space. Drawing inspiration from this, the second section of the exhibition introduces elements of intimacy and memory, featuring works about houses and homes that impart their mysteries, histories or, in some cases, the abuses that lie within. The third and final section of the exhibition features works in which the artists have conceptualized space in non-traditional ways, mapping it according to their own purposes or acknowledging its layered socio-cultural histories. These artists use various methods to map or define space – some through performative actions, others through investigations of social use, and still others through depictions of signs that register spatial borders. In its totality, The Poetics of Space offers myriad ways to consider how we experience, create and contain space, perhaps in order to save ourselves from its infinity. The Poetics of Space is organized and circulated by the Vancouver Art Gallery and curated by Daina Augaitis, Chief Curator Emerita and Emmy Lee Wall, Assistant Curator, Vancouver Art Gallery. Across the Province is generously supported by the Killy Foundation. Stellar Spectra brings imponderably old starlight into our present experience. Through it, James Nizam inserts himself into the endless cycle in which humans exchange data with the universe. He is fascinated by how visual codes reverberate across many material instantiations and how they might be translated across sensory conveyances. In kinship with Alexander Graham Bell, Johannes Kepler, and Samuel Morse, Nizam extends the philosophical and technological experimentation with light pioneered in the 19th century. Compressing and expanding time, making light waves audible, translating sound through mirrors, and pushing the cosmos into abstraction, the works in Stellar Spectra examine how we decode sources and origins, both our own and that of the light that reaches us from stars. Nizam unearths the equivalences in data, medium, and scale that suggest that even in this complexity, there is a fundamental code for the makeup of the universe that we can fleetingly perceive and translate. The imprint of the artist’s interventions within the data exchange – captured in photographs, on phonographic records, and in sculpture – appear as wave forms travelling into or out of space, the hand work of the artist and the cosmos combined. Recorded and Produced by UBC astrophysicist Prof. Jaymie Matthews, O.C. Sciagraphic Study condenses six months of the sun’s procession into an observable ten-minute time lapse, making visible a long cycle of time normally invisible to the pace of life. 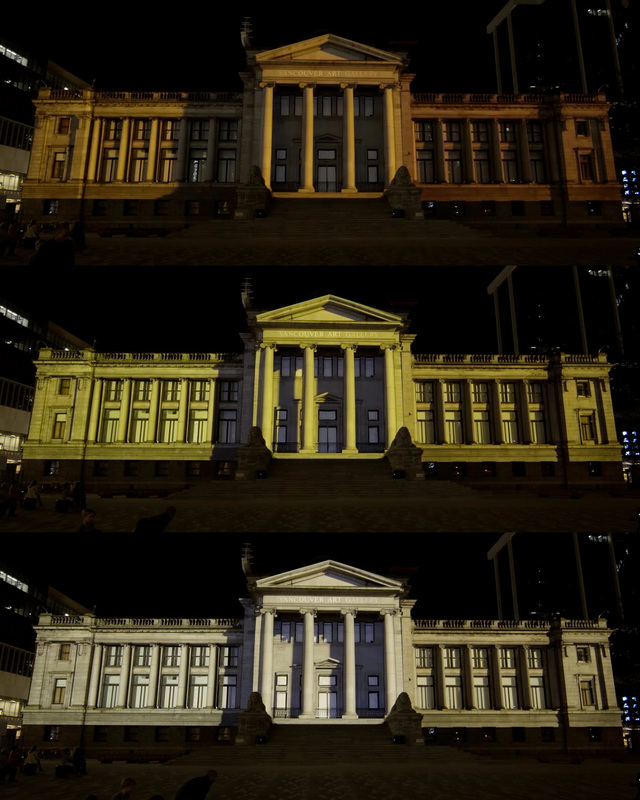 Using digital rendering technologies, James Nizam replicated the sun’s path over a virtual model of the Vancouver Art Gallery’s architectural facade and recorded the light and shadow cast each day from the summer solstice to the winter solstice. He then transposed these virtual shadows back onto the gallery’s real facade via a video-mapping projection animation, as part of Façade Festival 2017. The resulting shadow play activates the architecture of the gallery in a real-lifescale with the astronomical event that the work simulates. Shadows move across the building’s facade exactly as they occur in nature, progressively shape-shifting in relationship to the sun’s changing azimuth and altitude in the sky . As the days grow shorter from summer to winter, the animation speeds up in proportional pace and measure, eventually culminating in a stroboscopic rhythm. The simulation makes a compelling connection between digital environments and our physical surroundings and allows us to experience a real event through an augmented reality. Sciagraphic Study is paired with “Sounds Performed by the Sun,” a sound work produced by Canadian astrophysicist and asteroseismologist Dr. Jaymie Matthews. Matthews is Professor of Astrophysics in the Department of Physics & Astronomy at the University of British Columbia and was appointed an Officer of the Order of Canada in 2006 for his accomplishments in research and education. The sounds in this work are generated by sound waves propagating from inside the sun which transform it into a musical instrument on a cosmic scale. This solar music was recorded through oscillations in the sun’s light arriving on Earth. Matthews shifted the solar vibration frequencies into the range of human hearing, matching their tempo and pitch to the pace of the light-and-shadow play in Sciagraphic Study. Sciagraphic Study was commissioned by the Burrard Arts Foundation as part of Façade Festival 2017, in partnership with the Vancouver Art Gallery. 108 East Broadway, Vancouver B.C. Art Mûr celebrates its first year in Europe since opening a space in Germany in September 2016 through a two-part exhibition titled Canada Now presented at Canada House and Art Bermondsey Project Space in London. The first part of the exhibition is titled Canada Now – Self-Abstractions and presents five Canadian artists to show on the theme of conceptual self-portraiture. The exhibition is on until 18 November 2017 in the gallery of Canada House in Trafalgar Square, a prestigious neoclassical building designed by Robert Smirke, the same architect responsible for the British Museum. On November 2, The High Commission of Canada will host a panel discussion with Jannick Deslauriers, Marie-Ève Levasseur and Nadia Myre and moderated by Habda Rashid, Assistant Curator at the White Chapel Gallery. 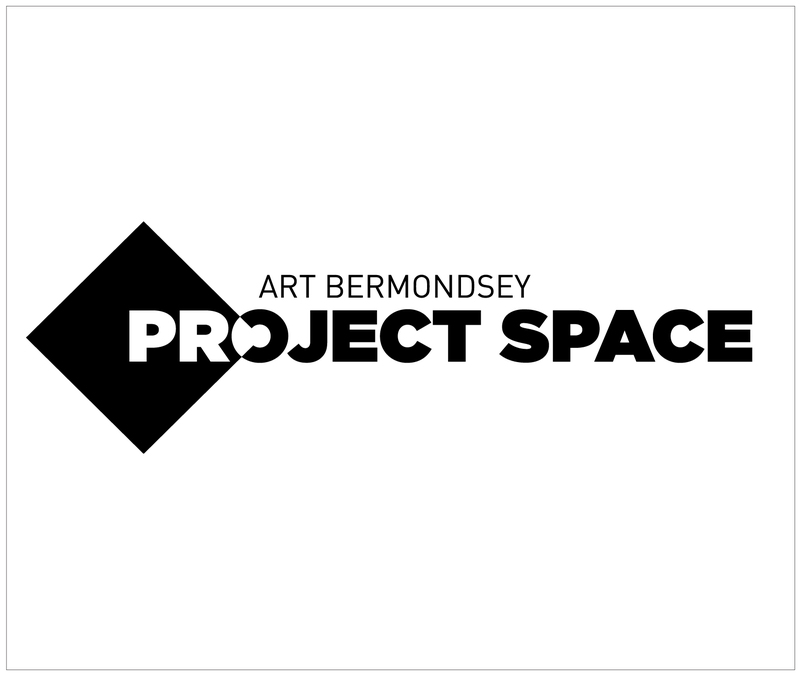 The second part of the project is titled Canada Now – The Tip of the Iceberg and is comprised of works by 12 Canadian artists at Art Bermondsey Project Space, one of London’s most dynamic contemporary art venues. This independent non-for-profit gallery is an initiative of State Magazine and Olympus. The space located transversely from the prestigious White Cube gallery offers a platform for innovative artistic practices over the three floors of a former 19th-century paper mill. The artists brought together for The Tip of the Iceberg play with perceptions to compel their viewers to devote a prolonged look or a second perspective in order to fully comprehend what is presented. Through a variety of mediums ranging from installation to video art and photography, the exhibition testifies to the complexity of a world in constant flux and aims to disavow initial preconceptions while promoting prudent attention and critical examination. Canada Now aims to reflect the Canadian art landscape in its engagement with contemporary concerns through a variety of artistic productions. The two exhibitions represent a unique opportunity for Canadian artists to be showcased in one of the most important art capitals of the world. The two-part project will be covered through a publication that will be launched at the Délégation du Québec à Londres on November 3.